Amarilla’s Father Daniel and half-brother Reed Form a Partnership! Amarilla, as I have written, came from a rather large family. Her father Daniel married twice, first to Elizabeth Keller who was Amarilla’s mother. The first marriage produced four children: Henry, Oliver, Mary and Amarilla. 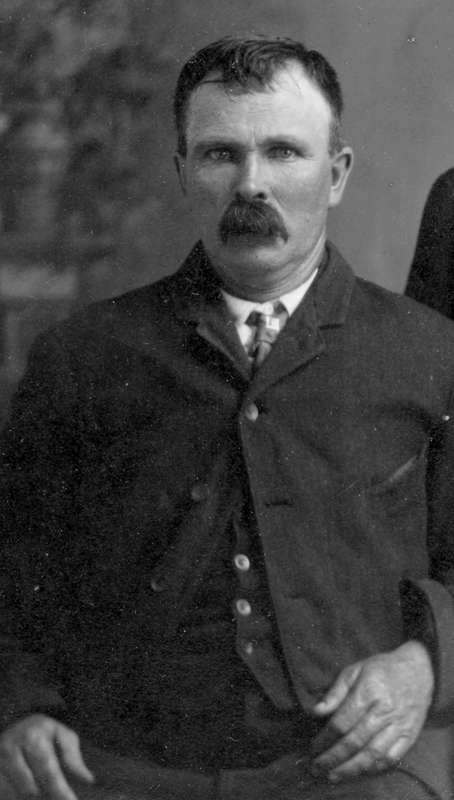 Henry was killed in an accident in Davenport, Iowa in 1893. Oliver and Mary died young. After Elizabeth’s death in 1859 he remarried to Sarah Blacketer Allgood in Iowa in 1863 in Iowa. Sarah, Daniel’s second wife, brought to the marriage one daughter Emily. There had been four born to Sarah and Charles Edward Allgood but they did not survive. The other children were: John G., James H., and Phoebe. 7. Alfred Spracklin who died young and is buried with his parents in Iowa. I have written about the first 4 children from the first marriage, some about Daniel and his migration from Ohio to Iowa on this blog. I have posted about his marriage to Elizabeth Keller and her heritage on my other blog Solomon Goss of Fearing Twp., in Ohio. See sidebar for a link. In every family there always seems to be the one person that handles the family business. In the second family of Daniel and Sarah that was the third child and second son Reed Andrews Spracklin. About 1905 Reed and Daniel made an agreement that Reed would help out on the farm in Dayton Twp., Iowa Co., Iowa. So Reed moved in with his parents bringing his family with him. Daniel was 75 years old in 1900 and Sarah was 69 years old. The parents were definitely aged. Reed had made Calhoun County, Iowa his home and it is where he married and started raising his family. His sister Lydia and brothers Virda and Daniel also had ties to Calhoun County, Iowa. Brother Peter was living up in Emmett Co., Iowa. We do see that in 1905 Charles Edward was living with the parents and Reed. This state census is only a list of people with no other information provided. This does place Reed and his family with D.D. around 1905. Source: 1905 Iowa State Census, Dayton Twp., Iowa County, Iowa, Lines 424 to 430, #1026383, Iowa County Genealogical Society, Marengo, Iowa. Reed and his family would stay with his parents until Daniel died and inherit 2/3’s of the family farm and estate of his father. The remaining 1/3 would be divided among the rest of the siblings including Amarilla. So Reed would take on the role of the Administrator of his father’s estate in 1915. Daniel did not have a will. There will be more about the Daniel’s second family in future posts. This entry was posted in Alfred Marion Spracklin, Benton County, Calhoun County, Charles Edward Spracklin, Daniel and Elizabeth's Family, Daniel and Sarah's Family, Daniel D. Spracklin, Daniel Goss Spracklin and Susan Morrow Lash, Dayton Township, Henry F. Spracklin, Iowa County, Lydia M. Spracklin and Thomas Jefferson Ross Family, Mary Spracklin, Oliver Spracklin, Peter George Spracklin and Etta Mae Hall, Reed A. Spracklin and Julia Ann Siler, Virda H. Spracklin & Lilly May Amsden and tagged Aging parents, Helping on a farm in 1900, Iowa. Bookmark the permalink.